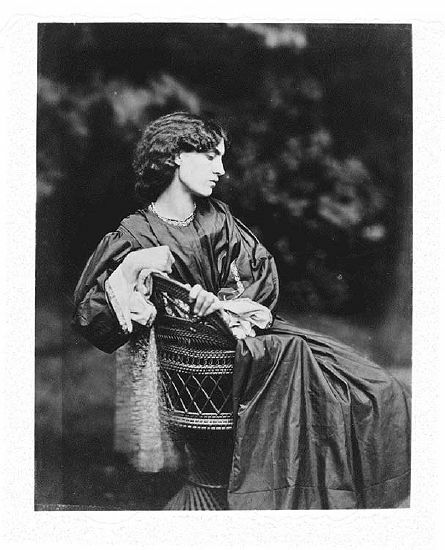 In 1865, Dante Gabriel Rossetti orchestrated a series of images of Jane Morris to be photographed by John Robert Parsons. While they are all interesting and beautiful to me, my favorite is the one above for one reason: that scarf. Scarf seen in this detail from ‘The Blessed Damozel’. More about this work here. 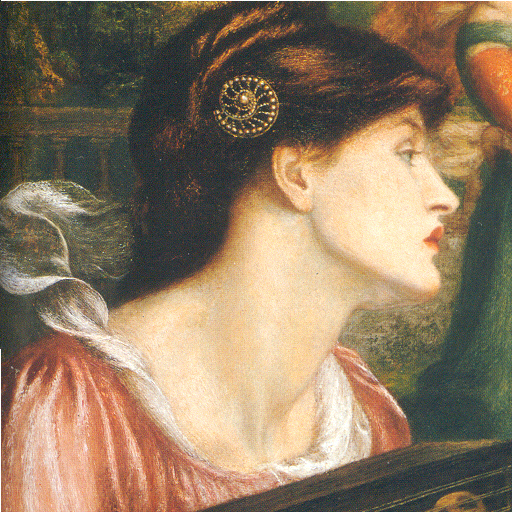 Detail from ‘La Ghirlandata’. More here. 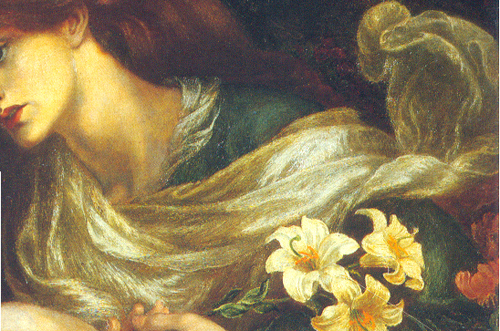 Scarf seen in this detail from ‘The Bower Meadow’. 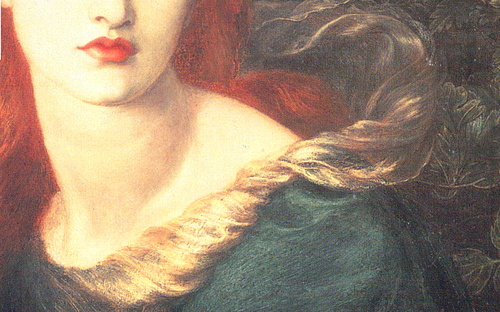 Also, note Rossetti’s oft-used spiral hair pin. 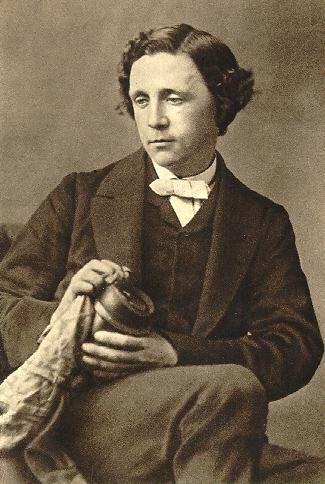 The reason I love the photograph is not simply because of Rossetti’s repeated use of the scarf in his works, although that is what initially attracted my attention. (I’m not even sure if it is the same scarf, although I desperately want it to be.) I am drawn to it because the blurred movement of the scarf speaks to me. It seems so alive, so ephemeral. I find myself staring at it and not Jane because it’s not posed at all. It’s evidence of a breeze, of something natural. 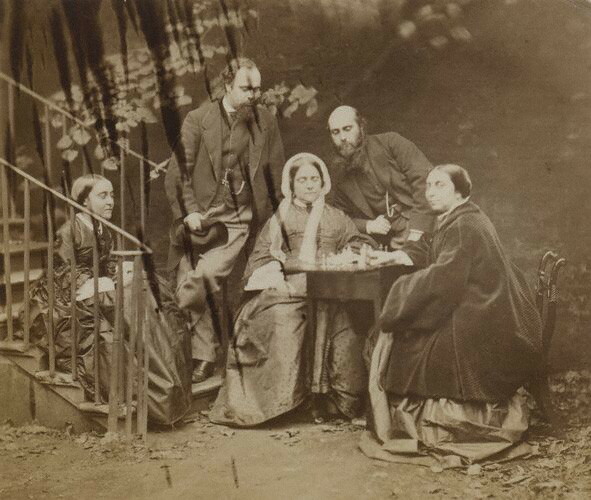 ‘It was our aim to appear in the full family group of five, but whilst various others succeeded, that particular negative was spoiled by a shower, and I possess a solitary print from it in which we appear as if splashed by ink.’–Christina Rossetti (source) By the way, Dinah Roe incorporated the seemingly spoiled family photo beautifully into the introduction of her book The Rossettis in Wonderland, which I highly recommend. We pursue the past for many reasons. Knowledge, understanding, a deep interest in a person’s work. Through that pursuit there are glimpses that captivate us and propel us to keep going, keep digging. 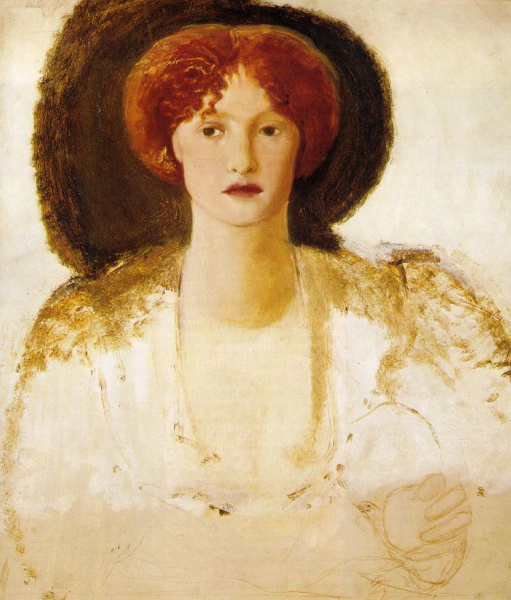 For me, the image of Jane Morris’ scarf lightly dancing in the breeze is a like a private view into what it was like in Rossetti’s garden that day in 1865: There was Jane. She was beautiful. 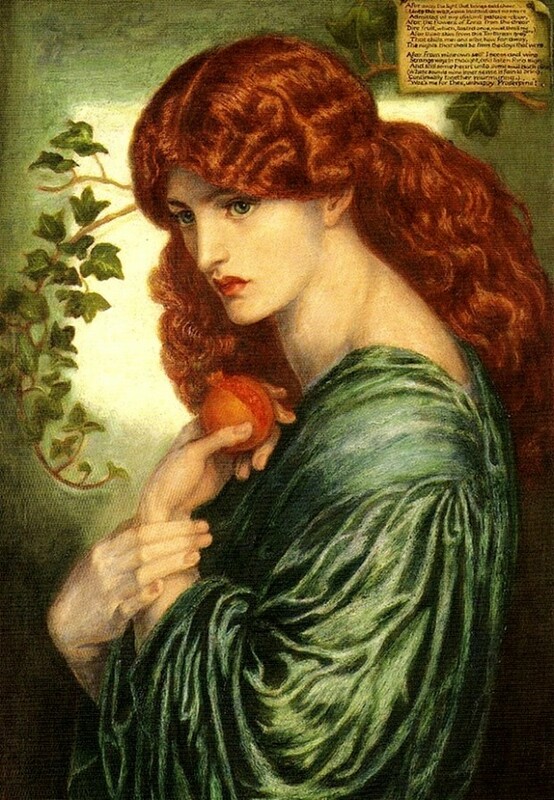 Rossetti was there. Parsons was there. They felt a breeze. It paints a picture.